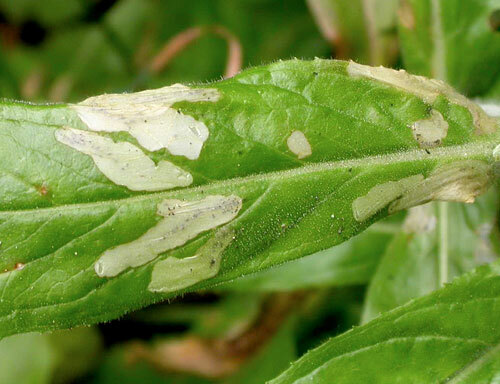 Often several larvae in a leaf …. 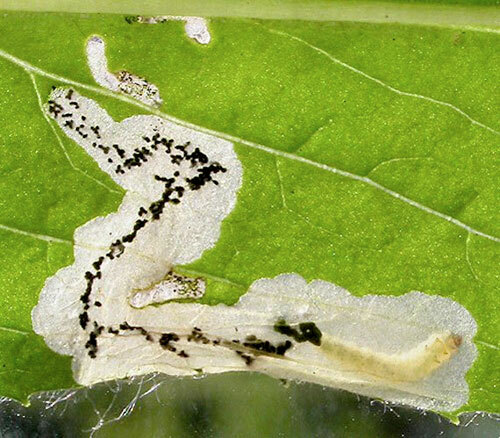 The larve begins by making a full depth corridor, erratic in width and course; frass black, in an irregular central line. Later on the larva makes a blotch, with frass in irregular clouds. This blotch can be a continuation of the corridor, but may just as well be on a different leaf. Often several mines in a leaf; in such cases the entire leaf me be mined out. Mines white at first, turning brown later. The larva lies venter-upwards in the mine. Pupation external. Circaea x intermedia, lutetiana; Chamerion angustifolium; Epilobium collinum, hirsutum, montanum, parviflorum. Epilobium hirsutum and Circaea are the main host plants. 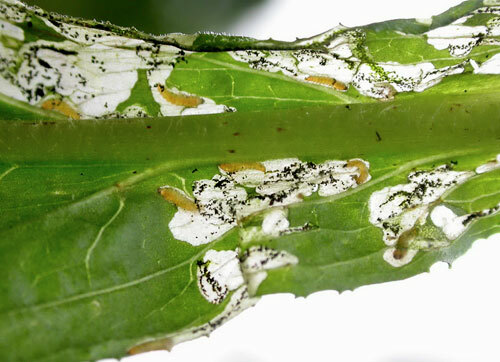 Larvae in June – July (Koster, 2002b). NE recorded (Kuchlein & de Vos, 1999a; Microlepidoptera.nl, 2010). LUX not recorded (Fauna Europaea, 2010). Almost all Europe, but absent in parts of the Balkan peninsula and on the Mediterranean Islands (Fauna Europaea, 2010). See Patočka & Turčáni (2005a). Anybia, Mompha epilobiella (Römer, 1794); not to be confused with Mompha epilobiella (Denis & Schiffermüller, 1775). Beiger (1970a), Buhr (1935b), Hering (1925a, 1931/32f, 1957a), Huber (1969a), Koster (2002b), Koster & Sinev (2003a), Kuchlein & Donner (1993a), Kuchlein & de Vos (1999a), Langmaid (1993a), Maček (1999a), Michalska (1970a), Patočka & Turčáni (2005a), De Prins (1998a), De Prins & Steeman (2013a), Robbins (1991a), Skala (1949a), Sønderup (1949a), Starý (1930a), Surányi (1942a), Szőcs (1977a), Tomov & Krusteva (2007a), Zoerner (1969a, 1970a).